Meridian Public Charter School is committed to serving healthy, nutritious and quality meals to children, with plenty of fruits, vegetables, whole grains, lean protein and fat-free or low-fat dairy, within the calorie requirements for school children. Meridian partners with Luncheras Di Si to offer breakfast, lunch and snacks free of charge to all students through the School Breakfast Program (SBP), National School Lunch Program (NSLP), and the Fresh Fruits and Vegetables Program (FFVP). Our school meal programs aim to improve the diet and health of students, help mitigate childhood obesity, model healthy eating habits to support the development of lifelong healthy eating patterns, and support healthy choices while accommodating cultural food preferences and special dietary needs. 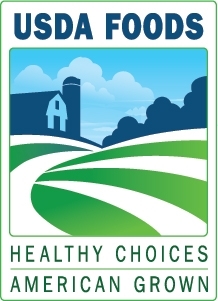 To learn more about Meridian's approach to ensuring environments and opportunities for all students to practice healthy eating and physical activity behaviors throughout the school day, please read our Local Wellness Policy. All of our school meals are prepared locally and fresh daily. The school menu provides nutritious, fresh and healthy choices to our students. All menus are prepared monthly using USDA approved recipes with nutritious ingredients. Students with officially documented special dietary needs are provided a food substitute to ensure the same nutritional meal requirements are met. Students with special dietary needs should submit a ry Accommodation Request Form / Formulario de solicitud de adecuación dietética / የትምህርት ዓመት 19/20 ምግብ እንዲመቻች መጠየቂያ ቅጽ to the school each year. This form is for requesting milk substitutions, philosophical accommodations, and/or food intolerance/medical accommodations. Student taste preferences are not the appropriate use of this form and will not be accommodated. Public Information on School Meal Programs is available here.